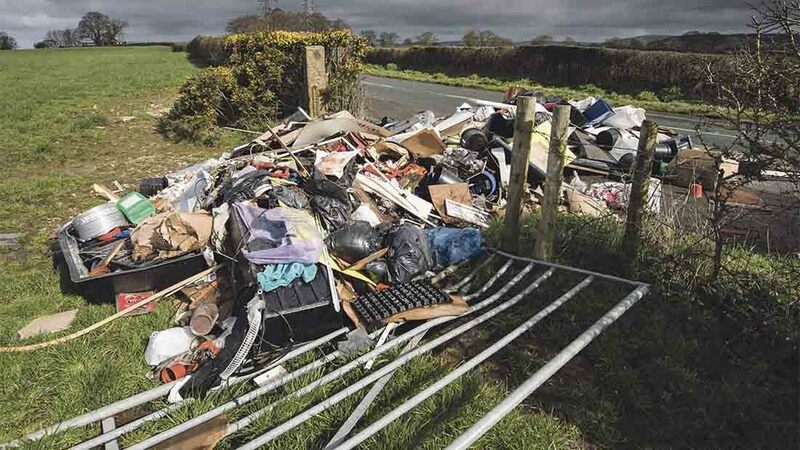 The group called on the Government to make vehicle confiscation the default penalty for fly-tippers as it unveiled a raft of recommendations to clamp down on the crooks who make farmers’ lives a misery. Recent research from the group showed farmers were paying an average of £844 to clear up waste left by criminals, with two thirds of landowners affected. Repeat offences were also shown to be a huge problem, with most victims targeted two or three times a month. The CLA’s plea for harsher treatment comes four months after the Government published its new litter strategy, which was branded a ‘missed opportunity’ by the NFU. The union welcomed plans in the strategy to stop councils from charging people for dumping DIY household waste, but complained forcing fly-tippers to clean up rubbish through community service would rely on the criminals being caught and prosecuted. Deputy president Minette Batters also warned existing enforcement powers were not being properly used by magistrates, calling on them to step up and provide a real deterrent against fly-tipping.